It’s a good thing the blog this comes from is called The Superficial, otherwise there might be some confusion. 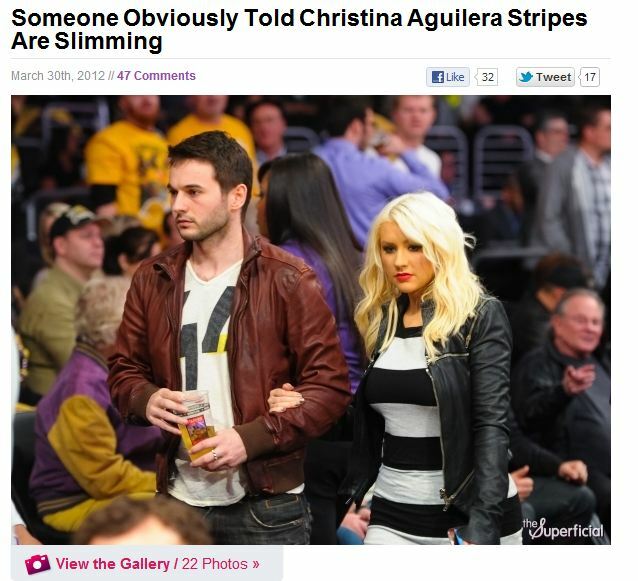 The Superficial likes to cover this kind of story from every angle, so they made sure the slideshow featured 22 whole photos of Aguilera’s striped dress. Because at the end of the day, how dare she?